Need Utah Drain Cleaning Services? 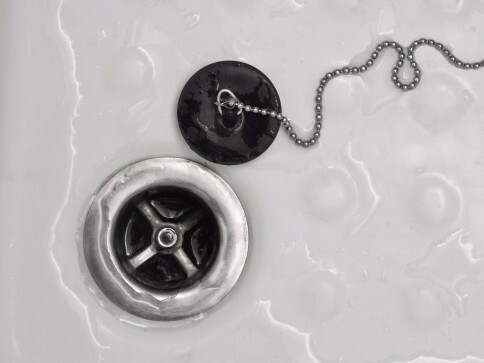 If you have a clogged drain in your home or office, trust Ace Plumbing and Drain Cleaning for drain inspection and cleaning services. We’ve been the go-to Bluffdale plumbers for years. Over time, we’ve expanded our services to deliver as the go-to Salt Lake City plumbers, Sandy plumbers, Bountiful plumbers, Orem plumbers, West Valley plumbers… you get the idea. We are a professional Salt Lake area plumbing company that is trained and experienced to always deliver quality plumbing services for a fair and honest price. When it comes to drain cleaning (which is part of our name, or course) we use state-of-the-art equipment to locate and eliminate the clog in your drains. Our affordable Salt Lake plumber pros are dedicated to cleaning your drains completely. Don’t forget, as a full service Utah plumbing company, you can also call for water line repair, toilet replacement and water heater installation services. No matter you plumbing need, Ace is there for you. We’re Number 1 in the Number 2 business! COUNT ON SKILLED SALT LAKE CITY PLUMBERS TO CLEAN YOUR DRAINS AND GET YOUR LIFE BACK TO NORMAL. Clogged drains happen to the best of us. Whether your child flushed a toy, your hairball has grown too large, or something else has obstructed the flow of your wastewater, it can lead to costly repairs down the road. When you’re faced with the need for drain cleaning, or roto-rooting, whichever you want to call it, we will be there. Our trained and skilled Bluffdale plumbing professionals will come to your home and solve your drain cleaning problems fast. Better yet, keep your drains clean year-round with inspection and cleaning services from Ace Plumbing and Drain Cleaning on a regular basis. Call us to discuss that option for your home or business.